Planning for any unexpected circumstances is key to protecting your loved ones as well as your assets. The start of a new year is the perfect time to look at your estate planning documents, making any additions or updates necessary. 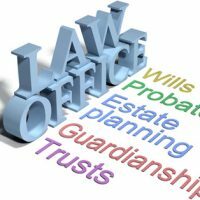 These documents help to ensure your family and friends are provided for in the event something happens to you, while sparing them the time and expense of going through probate proceedings. Making sure you have a valid will in effect is a good place to start. Age: You must be at least 18 years old to make a will. Testamentary Capacity: You must be of sound mind and in control of your mental faculties to create a will, otherwise it could be open to challenge in court. Free Will: The document must have been created of your own free will, as opposed to being something you were coerced or forced into making. Intent: Within the document itself, you must state your intent that this is your last will and testament, naming your assets and how you would like them to be distributed after your death. Witnesses: Your will must be signed by two witnesses, who are not beneficiaries of your estate. Formality: While oral and informal wills are permitted in some circumstances, your will should be formally written and drafted. While there are plenty of ‘do it yourself’ websites and courses offering you guidance on preparing a will on your own, having an experienced attorney oversee this process can help to avoid simple yet costly mistakes that could create problems for your heirs when settling your estate. When made by a mariner while out to sea. A handwritten will made under other circumstances may be declared valid provided it contains the required witness signatures. At the same time, this, like any other variance from more formal procedures, can create problems, and may make your will more susceptible to being contested. You have worked hard for the assets you have accumulated, and it is important to make sure they are protected. At Cavallo & Cavallo, our experienced New York estate planning attorneys are here to help protect your interests while guiding you through the documents you need to ensure your own and your loved one’s future security.